Looking for something to do this summer? Check out the Launchpad opportunities! Are you an aspiring artist with a passion for singing, rapping, beat-boxing and DJ-ing? As part of Islington council’s Summerversity 2016 and Launchpad 2016 events, this summer The DJ and MC Academy is coming to show you what it takes to make it big in the music world. 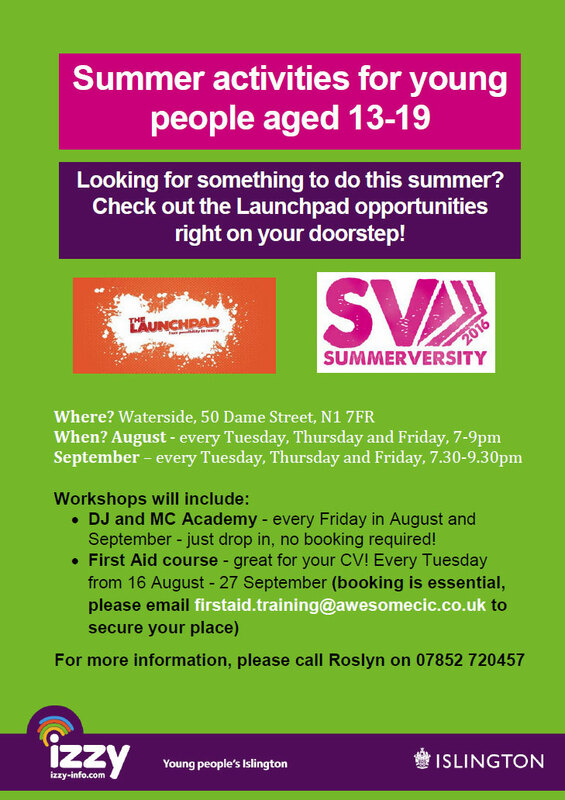 Click here to view the full Summerversity 2016 info pack, or here for the full line-up of events at Launchpad 2016 (or click one of the images below).